TaKaoBooks is a vibrant independent book store that sells books and provides insights to inspire readers to discover and explore beyond pages. 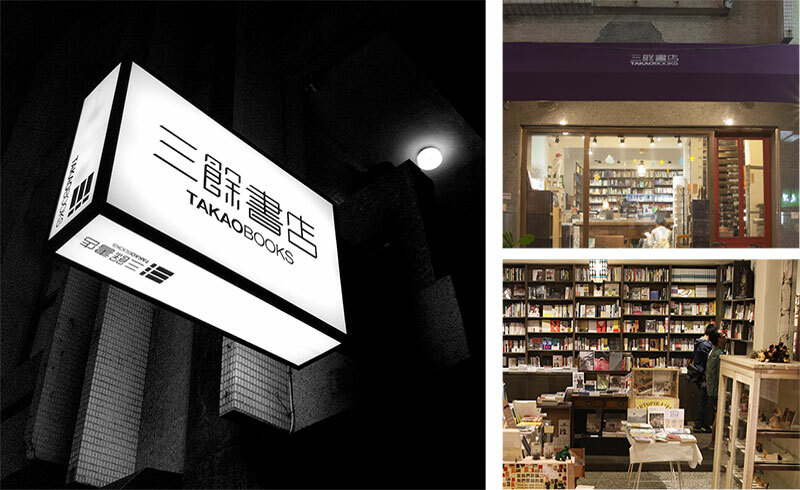 Located in Central Kaohsiung, TaKaoBooks serves as a cultural hub that shares news and information about the city, to help local or international visitors from all walks of life to get to know Kaohsiung inside and out. The book store is also the go to place for event planning/hosting, books for specialized topics such as agriculture, environmental issues, literature, history and art. The book store is widely known by artists across genres, businesses, educators and communities as a refined venue to experience personal reading space, vintage dining experience and selected events of interest. This is the powerhouse that has always attracted like-minded individuals to come together to meet and share what they have learned through reading. The movers and shakers of this collected strength are always in the look out to better help and serve community. This book store and community joint-venture has created many chapters of inspiring and heartfelt stories, waiting for you to discover. TaKaoBooks is in the forefront of being a new breed of indie by helping a new generation of Civil Culture Group to grow organically, sharing and caring what they love about Kaohsiung, Taiwan and life.